The latest proposal being floated in Pennsylvania for redistributing electoral votes has the same goal as the last plan: allowing a Republican loser to "win" the presidency. Republican National Committee chairman Reince Priebus has been blunt about his determination to rig the Electoral College. So it should come as no surprise that, even after his partisan minions were “named and shamed” into distancing themselves from an initial strategy for gaming presidential politics, key Republicans have returned with another plan to make it possible for a GOP loser to “win” the 2016 presidential race. Thwarted in an effort to assign electoral votes based on the results from gerrymandered congressional districts, Republicans are now proposing a “proportional representation” plan that offers another avenue to assign substantial numbers of electoral votes to Republican nominees who lose key swing states such as Pennsylvania. 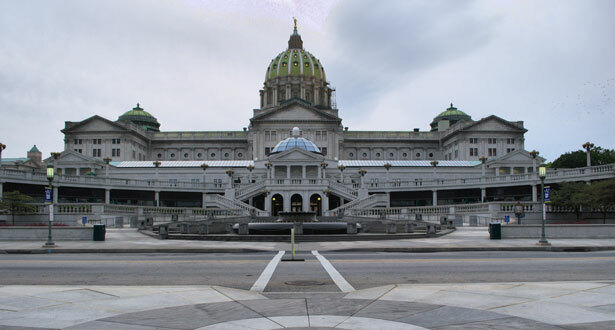 The proportional proposal—which Pennsylvania state Senate Majority Leader Dominic Pileggi, a top Republican closely allied with Governor Tom Corbett, says he will introduce in short order—sounds on the surface like a somewhat fairer approach. But, if implemented, it would put the “fix” in just as surely as the previous plan. It is the goal of rigging the rules to benefit future Republican presidential nominess that has always mattered most to Priebus and his allies. The RNC chair and those aligned with him have never evidenced any great concern regarding specifics. They’re concerned with gaining an illicit advantage for Republican presidential candidates who Priebus has essentially admitted are unlikely to win a fair fight under the existing rules. In the arcane language of the permanent political insider, Priebus says: “states that have been consistently blue that are controlled red ought to be looking at” ways to alter rules for distributing electoral votes. Translation: In states where Democrats regularly win presidential races, Republicans should use their transitory control of governorships and state legislative chambers to grab as many electoral votes as they can. Priebus initially talked up the idea of to having Virginia, Florida, Ohio, Michigan, Wisconsin and Pennsylvania abandon the current model of assigning electoral votes to the winner of the state and instead implement a model where the allotment would be based on the winners of congressional districts. That plan, which would have allowed the loser of the popular vote in many states to “win” most of the electoral votes, was such a blatant rip-off that shamed Republicans in Virginia, Florida, Wisconsin and other states abandoned it. But they did not abandon the basic premise laid out by Priebus—that states that are “controlled red” by the Republicans should game the rules so that they are less “consistently blue” in presidential politics. They’ve just shifted strategy. Under the plan now being entertained by Pennsylvania Republicans, electoral votes would be distributed based on the percentage of the vote received by the contenders. Had the plan been in place in 2012, President Obama, who won 52 percent of the Pennsylvania popular vote, would have gotten 11 or 12 electoral votes, while Republican Mitt Romney would have gotten 8 or 9. That looks like a more reasonable result than under the plan for allocating by congressional district results, which would have given Romney most of Pennsylvania’s electoral votes despite Obama’s popular vote win. But here’s where things get tricky. If Pennsylvania and other swing states that tend to back Democrats move to the proportional model, while big states such as Texas and Georgia that have been voting Republican stick with a winner-take-all plan, they will lock in a national advantage for the Republicans. The Pennsylvania initiative may not be quite as “sweet” for Republicans as the initial Priebus plan. But if states that vote Democratic assign substantial numbers of their electoral votes to the Republican loser, while states that vote Republican make no such concession, it will be a lot easier to chart a course where a Republican nominee who is trounced in the national popular vote might still “win” the electoral vote and the presidency. The necessary response from democracy advocates to the latest plan to rig the Electoral College is essentially the same as the response to the last scheme. The very fact that the rules for distributing electoral votes can be so easily rewritten to thwart the will of the people regarding the election of the president of the United States “should give us all pause,” explains FairVote’s Rob Richie. That—not the Priebus plan, or the Pennsylvania variation—is what the people want. Priebus and his pal in Pennsylvania are wrong. Read John Nichols’s takedown of Reince Priebus.